Of the 50 million runners in the United States, about 40 to 60 percent suffer a running-related injury each year. Achilles tendonitis, plantar fasciitis and stress fractures are three of the most common overuse injuries that plague runners. According to Kevin Burroughs, with Carolinas HealthCare System’s Sports Medicine & Injury Care, there are many things you can do to keep your running game strong, whether you’re looking to lower your risk for injury, in need of self-care treatment or going through a bout of recovery. Keep in mind that even the most disciplined and careful of runners get injured. If you think your pain may be more than fleeting, you may need to see a professional. 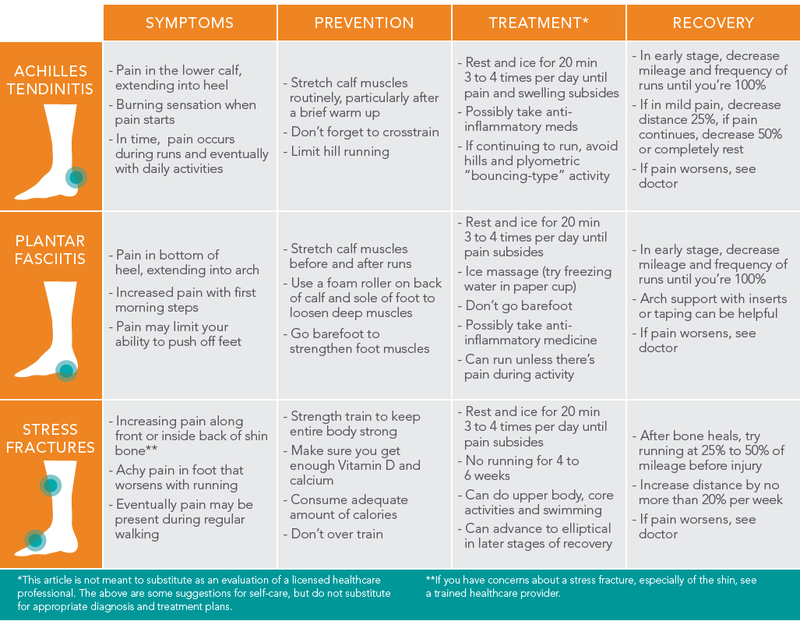 “For Achilles and plantar fasciitis problems, you can certainly try these treatment suggestions first. However, if these do not improve your symptoms in a few weeks or if the pain worsens, you should see a trained healthcare provider,” says Dr. Burroughs. “If you have concerns about a stress fracture in the shin area or outer side of foot (the pinky side), or you are experiencing pain with normal walking or the intensity of pain is increasing, I would recommend an evaluation.” If you think you may have an overuse injury, call 704-512-3995 or visit CarolinasHealthCare.org/Sports to schedule an appointment with one of the experts at Sports Medicine & Injury Care. Attend the 2015 FREE Runners Clinic. Nov. 5. Olde Mecklenburg Brewery. Register now.